Gonna turn the thread on its head because I actually do have "the skill" but I'm just thinking out loud about a possible hack, and figured this is the ideal place to do so. I just watched Game Sack's playthrough of Mad City, i.e. the Japanese version of The Adventures of Bayou Billy. TCRF makes it clear that there are many differences between the versions, and the US version has many detractors because it's insanely hard. So I figured it's about time I made a patch combining the two together to make a new option. It'd be the Japanese version with the US graphics and text. Or the US version with the difficulty toned down. Bayou Billy in Mad City, if you like. I'm just thinking what the easiest approach is. Replacing graphics is usually much easier than replacing programming, which means hacking the Japanese version sounds best. But then, the US title screen is quite different, and there's speech samples and so on. Oh, but then the Japanese version has different endings... you see what I mean. It's hard to decide which version to use as a base. I might have a go at this, or I might not. But I think the US version is clearly the later, superior version, like they cleaned up the graphics, maybe fixed a few bugs and whatnot. But it's so unnecessarily hard. Any thoughts, suggestions etc, always welcome. The Japanese versions are superior because they're the first. Localizations make one mistake or another, like changing the difficulty or censoring the game. Dragon Warrior for NES is one example that significantly improved over the original. I'm sure there's other examples where "first" does not mean "best". And Lufia ROTS had a garbled/blacked out screen in the U.S. localization late in the game, which was fixed with the European localization that restored it to the Japanese original. Some games are developed in the U.S. or Europe, but then they're actually original in those cases. In gaming I'd say it's usually the case that newer versions and remakes improve over the original versions. I mean, that's the point, right? You fix bugs, you add features you hadn't considered, you adjust things after getting real-world feedback. Bayou Billy seems like an example where they did a great job localising it - but didn't want people finishing it in 30 minutes, so they made it crazy hard (c.f. Double Dragon 3). Game Sack suggested it was because of game rentals in the US, which is possible. Anyway, a little trace logging has revealed one key difference already: in the US version, when you lose health from an enemy attack, there are two extra instructions: one adds $20 to the amount you lose, and the other adds, er, nothing. Not sure why they needed two ADCs in a row when the latter adds zero, but there you have it. A simple way to increase difficulty: add $20 to any health decrease, while keeping your health the same. I'm sure I'll find more complicated changes. Oh, by the way, anyone who's played through Zelda 2 on both NES and FDS will see that the US version is the better one: they clearly realised their errors and fixed them there. In gaming I'd say it's usually the case that newer versions and remakes improve over the original versions. I mean, that's the point, right? You fix bugs, you add features you hadn't considered, you adjust things after getting real-world feedback. Assuming we all live in the magical world where all ports, localizations and other newer versions are handled by the original developer on a generous budget and schedule, then that is usually the case. Can someone make a rom hack of the original Zelda 1 on Nes to have all the items and features like the open secrets from Zelda SP Living the Life of Luxury so it can be played on an original NES? The Buck Rogers prototype seems to be missing some sound effects, almost all the music – aside from this song, which plays on every level – and might even be missing a level or two. I'm sure there's far more differences, but I'm not really sure what those might be, since I haven't played through any version of Jim Power. Ah, if that's the case, hopefully someone will fix Jim Power up eventually. I've never gotten that far into it, but the gameplay style and Chris Hulsbeck music make it a nice companion to the Super Turrican games. Sneko, the Super Nintendo Entertainment Kitty, wishes you luck. Hey guys. I want you to be real with me, because I don't want to write a topic post in here. *As long as it works under 64's hardware. As the NES can only do 8 bits at a time, you need to do an add on the low byte and then ADC 0 to the high byte (so it effectively adds the carry bit). Well, the two things mechanics negatively added to NES Zelda II are WHEN ALL ELSE FAILS USE FIRE and GAME OVER RETURN OF GANNON. Another Streets of Rage 2 idea that might be worth adding to the list: A Star Wars hack which features Luke, Han Solo, Leia and Chewbacca (or Obi-Wan) as the four playable characters. Mr. X could be replaced with Emperor Palpatine and Shiva could be Darth Vader. The rest of the bosses could be replaced with other various antagonists. Ordinary enemies could then be replaced by stormtroopers and droids. It would be interesting to change the backgrounds and music as well to match the series tone, but that would probably be too much work. Either way, it would still be an interesting idea for a Star Wars romhack. "Truly, if there is evil in this world, it lies within the heart of mankind." Hot damn, you registered just to tell me that. Thanks, I suppose I should've checked the Translations section instead of just the Hacks section. It's a little different to what I have planned though: I was more focused on modifying the US version to make it fair like the Japanese version, rather than just translating the Japanese version (though that has merit, too). I still think it'd be worthwhile. Luigi's Mansion (GameCube): A hack that will add Mirror Mode from the European version to the American version. 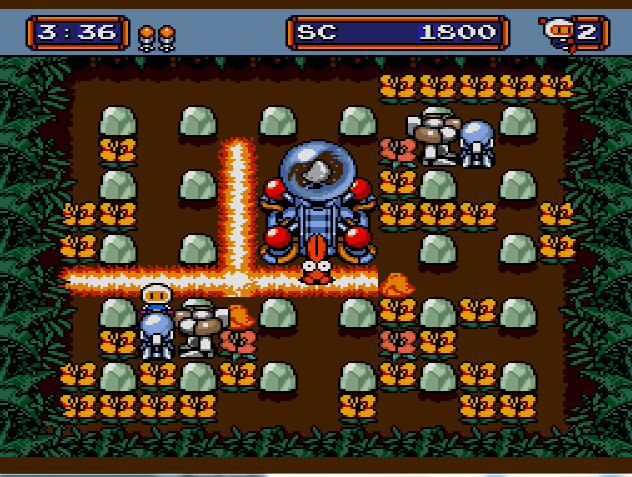 Mega Bomberman (Sega Genesis): A color hack that will make it look more like its PC-Engine counterpart. Nightmare Creatures (Sony PlayStation): A hack that will turn off the adrenaline meter. Edit all the textures to make everything not plastic looking. Restore the missing Dreamcast textures. Restore the Cowgirl billboard from the original Japanese Dreamcast port. Fix most of the bugs & glitches. Splatterhouse 3 (Sega Genesis): A hack that will restore the original button layout for the special moves from the Japanese version. An improvement is doable there, just not sure how much since the PCE is more flexible with its sub palettes. I did this quick mockup based on the PCE version, reducing the colors from 64 to 52 without much of a loss. PCE / MD - There's a slight unintended difference in some tones due to emulator differences, they should have the same default palette. Not sure how much that is doable considering Genesis has a 9-bit palette (512 colors) and PCE has 15-bit (32768). They both used a 9-bit palette.